It was a perfect weekend here in SEPA, sunny mid 70s just a light breeze. 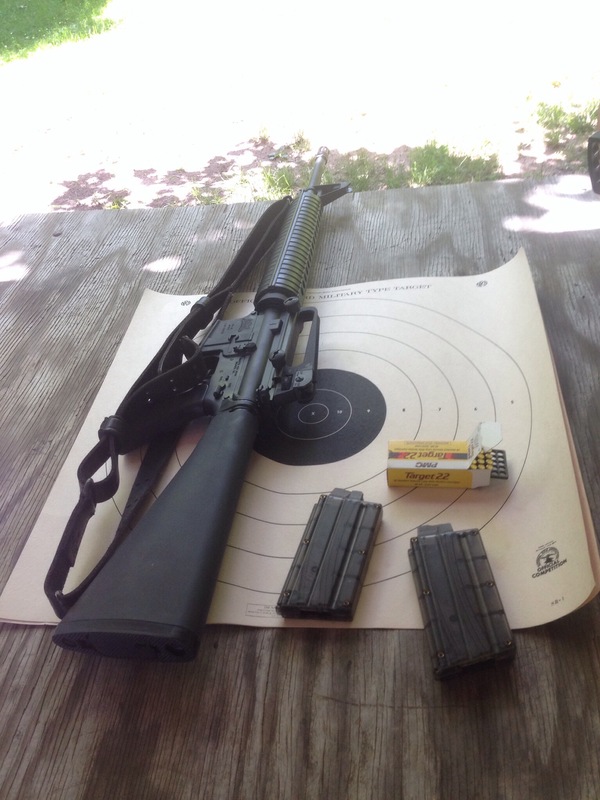 I managed to sneak away from my yard work for a hour or two with my rimfire A2. The high power range was crowded, due to the nice weather, but I had the rimfire range more or less to myself, which was relaxing. I had a couple of things to work on. First I’ve been having some problems with my hand cramping/fatiguing in slow prone. I theorized I had a bit too much “downward pressure” so I brought my sling out another notch which seemed to help. Of course now I’m getting awful close to running out of sling. Second, I needed to work on off hand. While I’ll never be done practicing, I came to some interesting revelations. The High Power range must be angled up hill because my NPA is awful high. This isn’t so much a problem but explains why my position varies from range to range. Additionally, I pulled up and left, just like I did at the matches the weekend before. After reviewing the video on my GoPro it looks like I am flinching a little in anticipation, even with my 22. So some more dry fire and rimfire practice are in order. Unrelated to practice, I enjoyed spending some time with my 22. 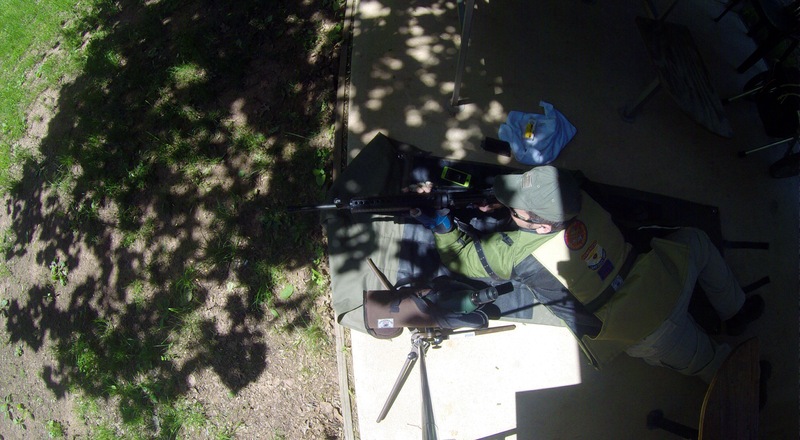 The range was quite, shaded and peaceful. It was a nice change, I am going to try to spend some more time shooting 22. A couple months back I picked up a CMMG A4 22 upper. 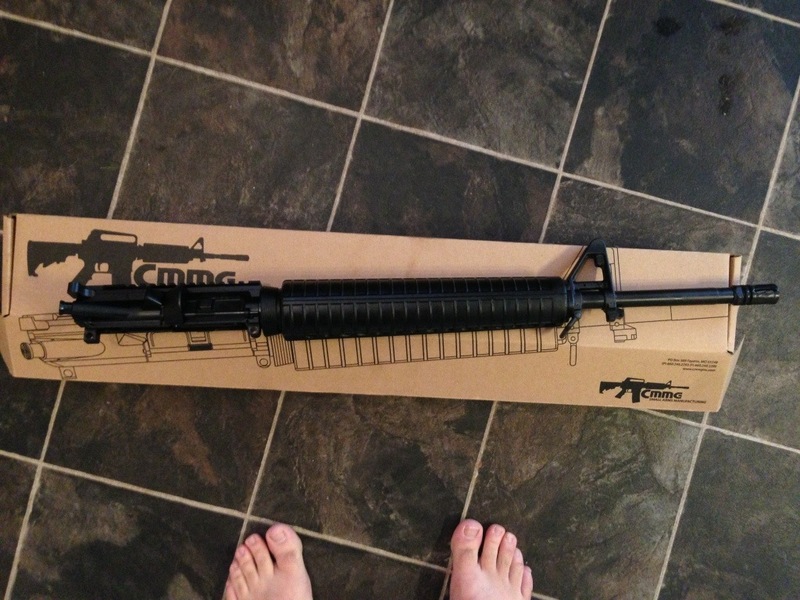 I had backordered it and frankly I had not expected it to come so soon and I was thinking about canceling it and getting an air rifle upper instead. I’m glad I didn’t! I hope to use it to get more practice for Highpower. 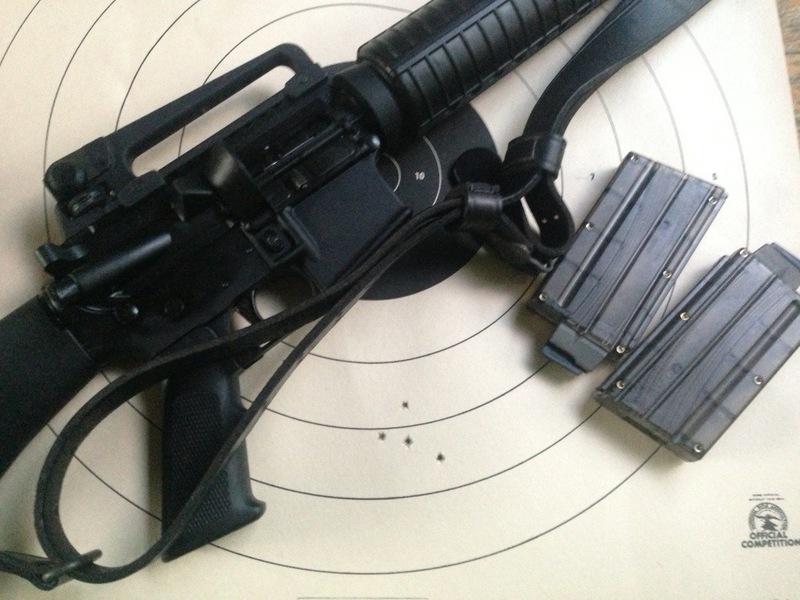 I use the same lower as I do on my service rifle, so it has the same feel and Geissele trigger. 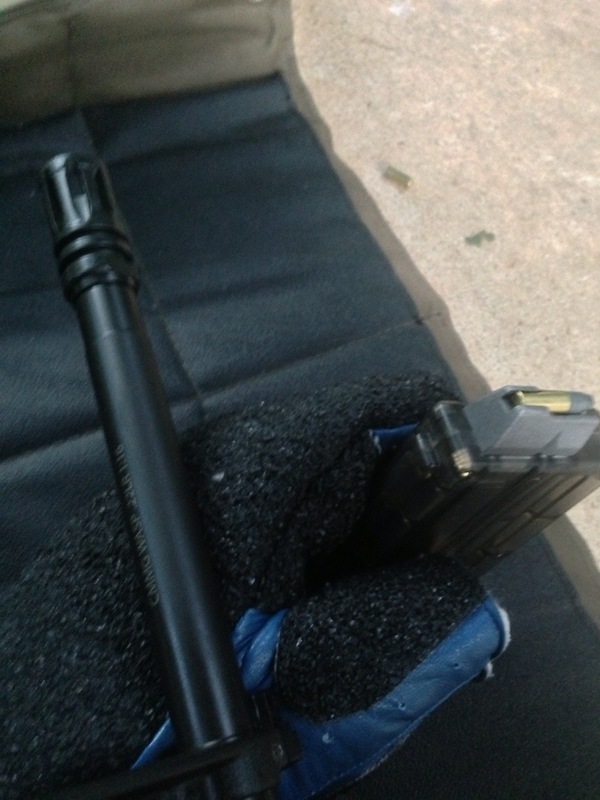 Additionally, I use the same Turner 1907 sling, black dog magazines and topped off with a Rock River NM carry handle. While perhaps a little extravagant for a 22 upper but I wanted a good quality hooded sight that would feel the same as my White Oak A2. It worked well, I ran out of daylight before I could get it in the black however I am happy with its performance. It fed and shot well, especially for 20+ year old 22 that’s been in the back of my gun safe as long as I can remember.